Although the rearranged fixture against Bishops Stortford was for a 1.00 k.o. 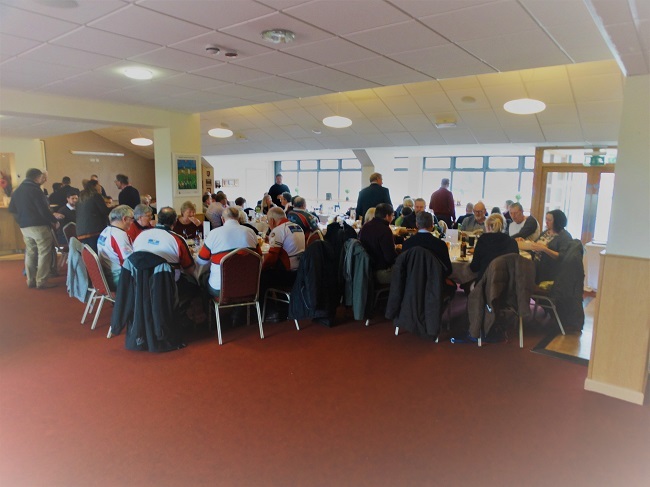 to accomodate the Six Nations screening on the television, the previously arranged 200 Club luncheon went ahead with a time of 11.00 for a 11.30 start, and as is sometime the case when things alter from the norm the meal started late but it was another sucessful venture for the 200 club, well done to all. 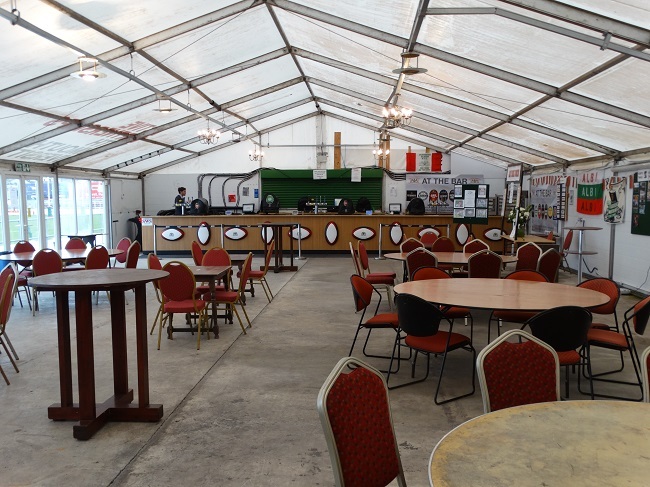 The match at the earlier time along with the bitterly cold weather produced a smaller gate than usual and as a result of this the picture in the supporters marquee was a little under populated as you can see from the photo below taken at 11.15. Nows the time to get a beer without waiting in a long queue folks. 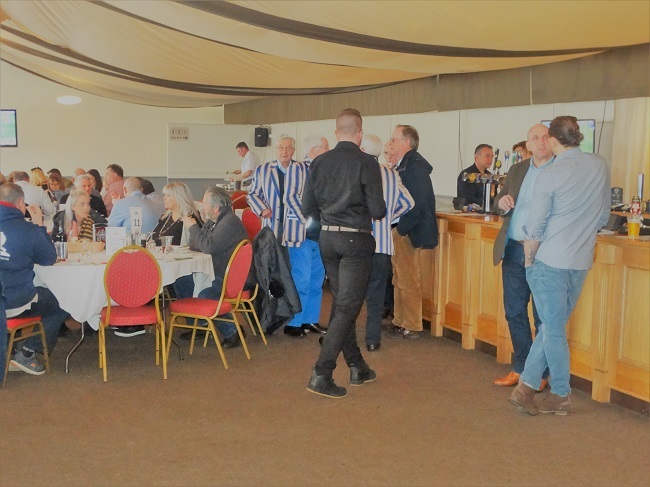 The 200 Club presented another cheque to our Chairman ? 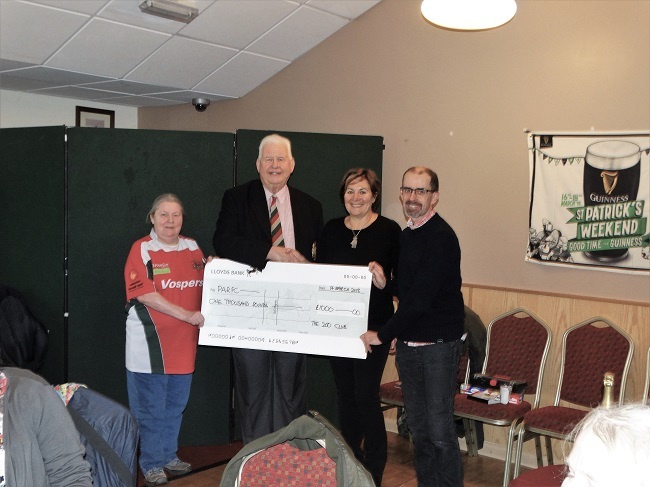 Chairperson, as is the norn these days, and Ali Hanniford accepted the cheque for £1,000 to be shared equally between the match sponsorship on the day and the Junior Academy. It's good to know who the beneficiarys are of our monies. 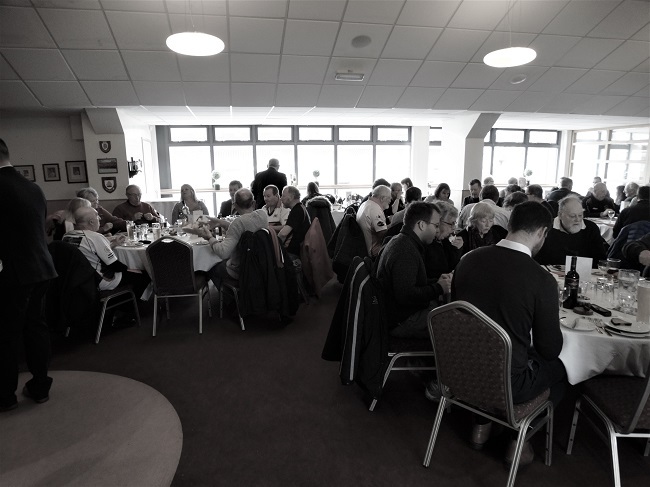 The next monthly 200 club luncheon will be held on Wednesday 4th. April, with further details to follow. 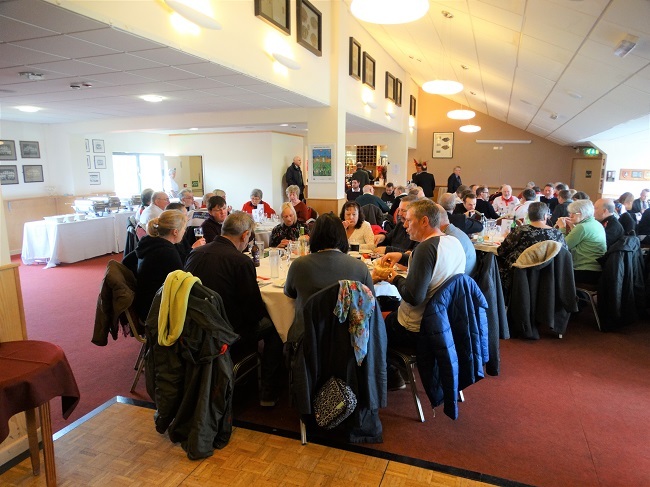 The function it'self was well attended as always and provided a sheltered veiwing point for the game if needed. 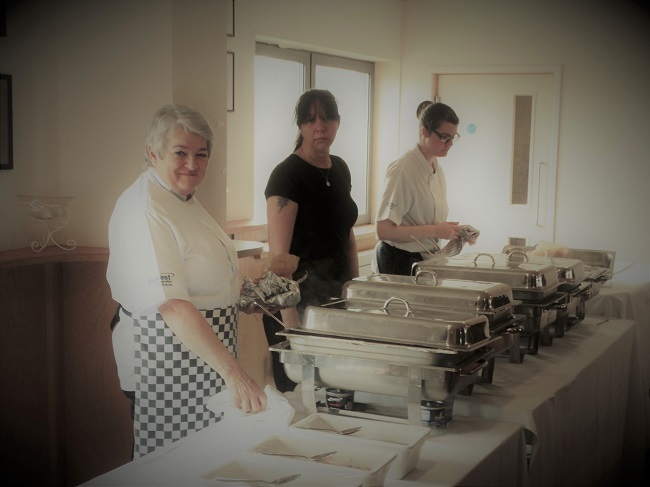 The nourishment was served by Lynn and her colleagues to everyones satisfaction. 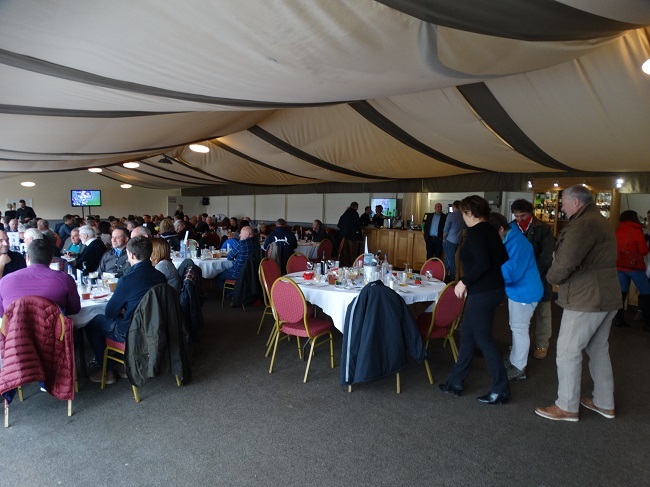 The Bidvest marquee was also well attended, see the photo's below. I love the Bishops Stortford blazers on show. One last thing that I must mention is that whilst retreating to the supporters marquee to partake of the refreshments on tap and a burger from the burger bar next to the SW. Comms stand to sustain myself along with other supporters at our table we had the pleasure of Dave Venables company as he circulated among the faithfull as he does and we had an interesting few minutes discussing all things Albion. 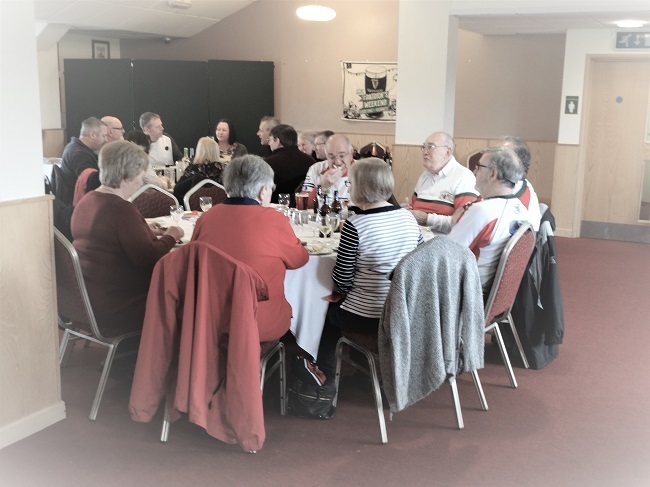 Other than one other past board member, that was the first time that a board member let alone a club owner has ever, to my knowledge, taken the trouble to engage with those of us who provide perhaps the largest portion of the clubs income, well done Dave, lovely to talk. 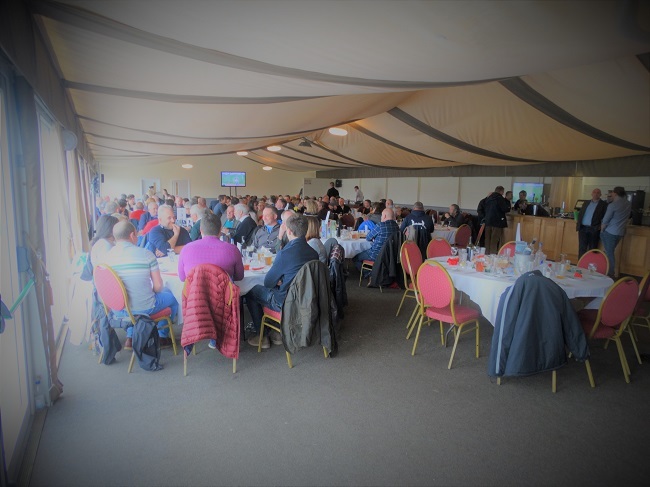 One salient point that came up was that of the cash flow needed from us the supporters and the often heard unrest about the expense of supporting the largest rugby club in Devon outside of Exeter, well chewed over I know but as a comparision with our premiership neighbours if we feel that our match day experience is expensive, then a comparision with the cost of supporting a premiership club bear no comparison with a car parking charge of £10 on the day, £7 prebooked to park off piste and a coach shuttle trip back to the ground from the exhibition centre a few miles away, no parking on site. 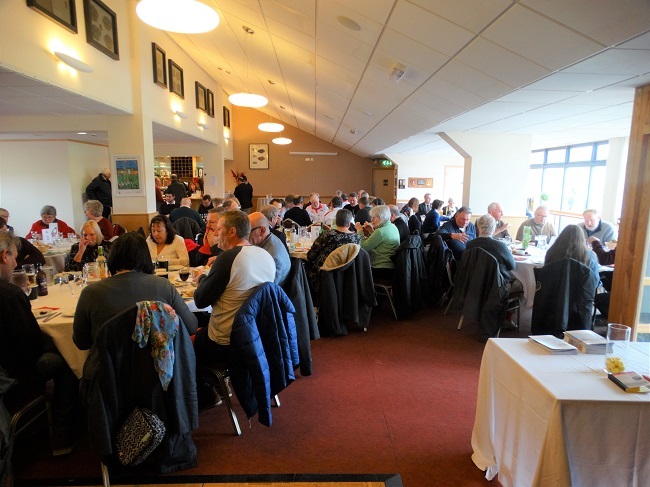 The club shop sells adult shirts @ £60, shorts @47 & socks @13, the same for children is £45, £30 & £ 11, can't remember the cost of a pre match meal but you may not bother. But that's what you have to pay if you want to watch a premiership squad, it's all relevent of course and you have to pay the going rate even in National One.